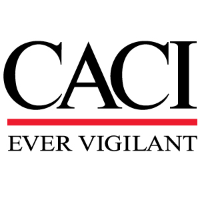 CACI is seeking a System Software Engineer Senior to support our team in Rome, NY. Provides requirement decomposition/definition and engineering expertise to assure program DOD requirements are developed and sustained. Leads and provides expertise to full life cycle support to specify, design, develop, document, unit test and integration, and to conduct problem resolution for applications and scientific software and systems. Fully support program architect and staff engineering efforts. Possesses a strong expertise in DOD areas such as command and control, intelligence, acquisition, data handling, space, and cyber, and intelligence data handling. Technical lead working in a medium to large size engineering teams across network, hardware, software, integration, and verification efforts. Experience, knowledge and adherence to sound engineering lifecycle workflow principles across hardware, software, network, interfaces, high-level/detail design, integration, verification, and regression testing. Works with government stakeholders design, develop, integrate, and test solutions for complex technical requirements; analyzes system capabilities to resolve problems on program intent, output requirements, input data acquisition, programming techniques and controls; prepares operating instructions and end user training; Ensures software standards are met. Broad understanding and wide application of technical principle, theories, and concepts in the field. Provide technical solutions to a wide range of complex difficult problems. Solutions are imaginative, thorough, practicable, and consistent with program objectives. Determines and develops approach to solutions. Demonstrates strong expertise with the computer systems and analytics. Provides in-depth analysis related to the design, development, and integration of hardware, software, man-machine interfaces and all system level requirements to provide an integrated solution. Supports development of integrated system test requirement, strategies, devices and systems. Bachelor’s in computer science or related engineering disciplines and 8 years of related experience. Considered advanced in related technical competencies. Extensive experience and expertise in software architecture. Extensive experience and expertise in full lifecycle development of embedded software for DOD technical development efforts. Experience acting as the software engineering technical lead for a medium program. Advanced degree (Master’s/PHD) in computer science or related engineering discipline.